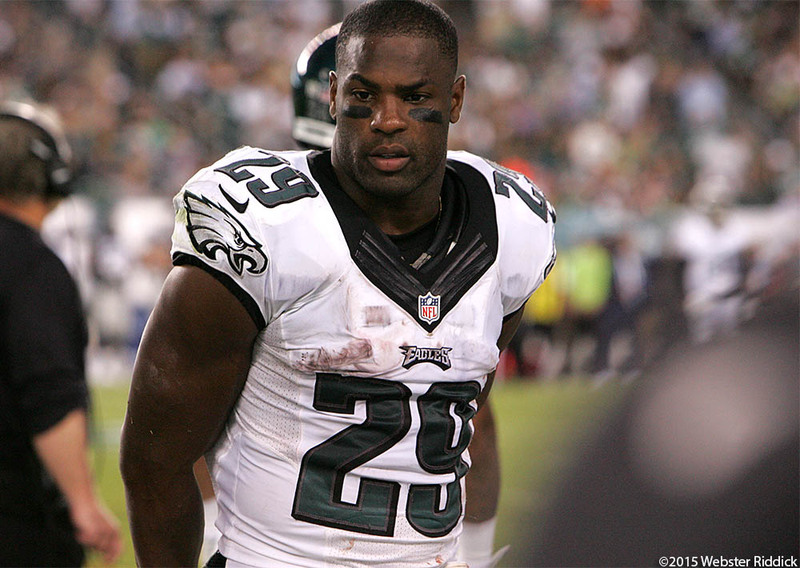 DeMarco Murray is looking to have a breakout game against the New Orleans Saints on Sunday. Photo by Webster Riddick. In the Philadelphia Eagles’ first four games this season, they have only played three halves of good football and have just one win. That’s due to an offensive line that keeps allowing penetration into the backfield, which has led to a poor running game, which has led to the Eagles not being able to get anything else started offensively. As a team, the Eagles are averaging just 3.1 yards on the ground. Running back DeMarco Murray, who led the NFL in rushing last season as the featured back for the Dallas Cowboys, has just 47 yards on 29 carries and is averaging just 1.6 yards per carry. After the Birds 23-20 loss to the Washington Redskins, Murray complained about not getting enough carries. Considering how abysmally the offensive line has performed to this point, more carries for Murray or any of the other running backs may not help. I’m not so sure things are going to get any better when they take on the New Orleans Saints at Lincoln Financial Field on Sunday because this already much maligned offensive line is riddled with injuries. Left tackle Jason Peters left the Washington game with a quadriceps strain and it’s uncertain whether he will play on Sunday because he didn’t practice on Tuesday and Wednesday of this week. Right tackle Lane Johnson played with a sprained knee and has had limited participation in practice. But even before those injuries, the Eagles haven’t gotten the running game going all season. Center Jason Kelce said it’s been a frustrating season so far and doesn’t see things getting any better for the offense at this point. Eagles’ offensive coordinator Pat Shurmur attributes the offense’s slow start in games on the Birds inability to convert on third down situations, especially on third and long. The Eagles tied for last in the NFL in third down conversion percentage. “I think what happens is we don’t convert on third down. You see in the second half where we’ve been able to kind of stay on the field and extend drives and score points. We converted on third down,” Shurmur said. Getting it right has been a huge challenge for the Eagles offense so far this season. In one of those few halves in which the offense has gotten into a rhythm, it’s been the Eagles passing game that’s got the offense going. 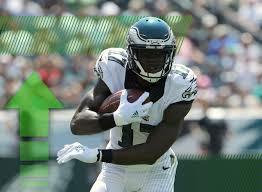 That was the case in the game against Washington where Sam Bradford completed a pair of touchdown passes that went beyond 40 yards and helped the Eagles take the lead in the fourth quarter. Maybe the Eagles need to pass to set up the run, something that head coach Chip Kelly alluded to in his Wednesday press conference. Kelly said the Eagles inability to convert on third down comes from falling behind on first and second down. That’s something the Eagles have to do starting with the first quarter and they have to maintain that rhythm for the full 60 minutes.